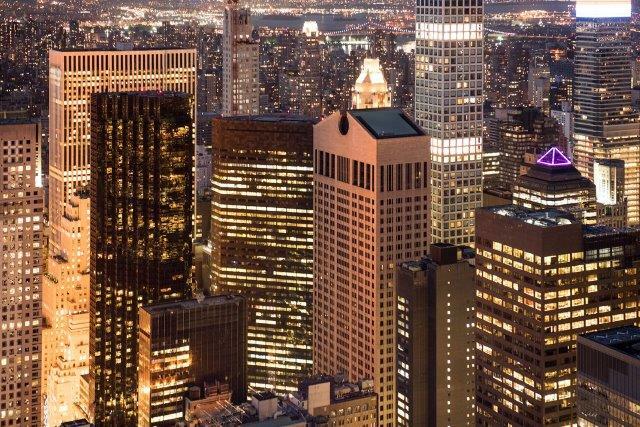 Plans Unveiled for 550 Madison Ave.
Olayan America and its real estate development partner Chelsfield unveiled plans for 550 Madison Avenue in Midtown Manhattan. The plans include the selection of internationally acclaimed architecture and design firm Snøhetta to reimagine the lower levels of the office tower and update the building with state-of-art systems. Olayan America acquired the property in May 2016 as a multi-generational asset. The $300 million renovation of 550 Madison, formerly known as the AT&T Building and then the Sony Building, will bring life back to the property. Preliminary plans offer a vibrant enhancement of Philip Johnson’s postmodern design while meeting the needs of the modern office worker, including high-quality amenities, world-class retail, and restaurants. Moreover, the plans would double the size of the adjacent public space, creating a lush and verdant outdoor garden for the public’s enjoyment. While the recognizable top of the tower will remain a fixture of the New York City skyline as it has since its completion in 1984, the new concept would transform the base between 55th and 56th streets into more inviting frontage along the Madison Avenue retail district. The renovation is the first major project to be announced for New York City’s East Midtown since it’s revitalization plan was approved earlier this year. For more information, visit www.550madison.com.